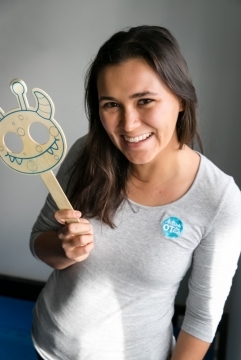 Cas is a lively Occupational Therapist who is passionate about working with children and their families, helping them reach their full potential in a fun way. Her previous experiences and on-going professional development have helped her develop clinical skills; ensuring that she implements current best practice in her sessions. Cas is eager to form personal bonds with each child and their family to provide individualised, holistic and engaging interventions to best support them achieve their goals.